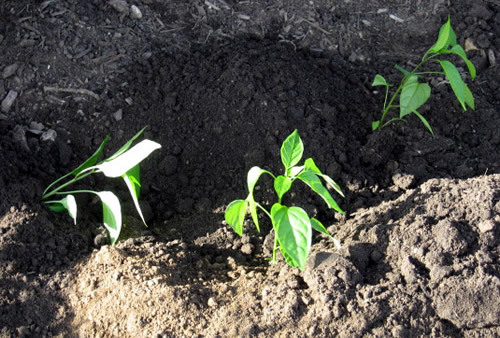 Once there is no worry of frost, you can plant your pepper plants to your garden or chosen spot. The best time is 2-3 weeks after the last frost when the soil temperature is 60 degrees. If you are planting from a store-bought seedling try to plant them in the ground within 2 days of purchasing. 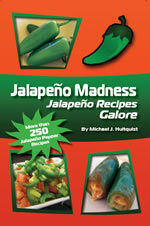 Choose a location with full sunlight for at least six hours per day, as jalapenos LOVE the sun. Dig your hole twice the width of your pot and as deep as you can so that the soil level will be as close to the leaves as possible. Mix in some mushroom compost or other organic compost to make the soil fertile and moist. Space the jalapeno pepper plants 14 - 16 inches apart with about 2 -3 feet between rows. The plants will eventually grow to nearly 3 feet high under proper conditions. Use cages as needed when plants are at a height that they would lean. The cage will help support the plant when it gets heave from the growing peppers. Water! Keep the soil constantly moist, but not soaking wet. Jalapeno peppers love water as much as they love sun. Water every other day or every third day. Include a good plant food product for fertilizing. Typically peppers don't need a fertilizer unless they are in pots however if you find your peppers are growing small, use fertilizer. There are many reasons a plant may not grow optimally such as soil conditions, not enough sun or excessive heat. Fertilizer can be used in conjunction with proper watering to optimize the growth rate. A good rule of thumb for watering is 1" per week. 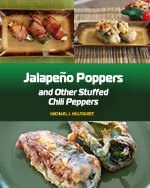 Keep your jalapeno garden well weeded. 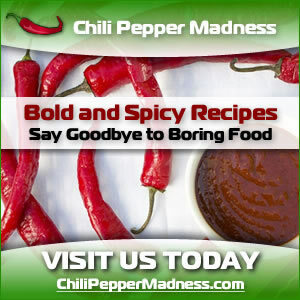 You don't want nasty weeds stealing the water from your growing jalapeno peppers. 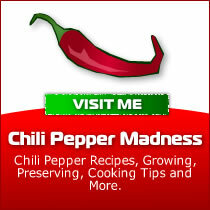 You will want to mulch your pepper plants 3 weeks after putting them into the ground. Simply place some fresh compost around the base of the plant mounding it up toward the stem. These fresh nutrients are a great natural fertilizer for the plant.